Call the Owner: (508) 577-9970 | Needham: (781) 449-8877 | Request A Quote! Learn about how we got our start and why we continue to love what we do. 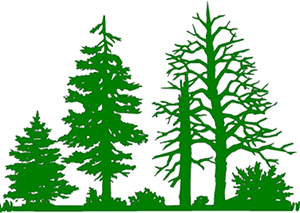 At Mr. Natural Lawn Care, we are proud to be locally owned and operated by Joe Civetti, a Certified Arborist with a degree in Arboriculture from the UMASS Stockbridge School of Agriculture. Joe, the leader of our family business, has 30 years of experience in the landscaping industry. We are fully licensed and insured. We currently serve over 800 homes in the Metrowest area. Mr. Natural Lawn Care provides a wide range of services to help keep your lawn healthy and beautiful. Maintain a lush, vibrant lawn with our Standard Lawn Program. It includes 5 visits and 7 services to give you the lawn you’ve always wanted without having to do all the work. We reduce the amount of pesticide on your lawn while still getting the results you want by using organic-based fertilizer and insect control products in addition to the fertilizer from our Standard Lawn Program. Say goodbye to itchy bites and the threat of mosquito-borne diseases with the Mosquito Raider Program. We apply natural cedar oil extract, natural botanical oils, and synthetic-control Permethrin, an FDA approved product to rid your yard of mosquitos for up to 21 days. Prefer a mosquito program with natural products? With our Mosquito Raider Organic Program, we repel mosquitos and ticks with a natural cedar oil extract and natural balanced oils to protect your yard for up to 14 days. Don’t let the fear of Lyme disease keep your family indoors. Our Flea + Tick Program protects your loved ones with long-lasting, effective treatments that are safe for humans and animals. A dense, beautiful lawn begins with proper fall aeration and overseeding. We provide both services at the same visit, aerating your lawn and applying new seeds over the top. You invested a lot in your trees and shrubs. Keep them healthy with our Tree and Ornamental Shrub Program. We’ll rid them of gypsy moths, caterpillars, and other insects while ensuring they stay disease-free at the same time. We believe in personalized treatment. So, don’t be surprised to see Joe in your yard, working alongside the technicians. You will even have his personal cell phone number. Mr. Natural Lawn Care is an honest, professional business and we have the great recommendations to back it up! Our programs focus on reducing pesticide use while providing the healthiest lawn possible. We also use the least amount of pesticide to provide the safest environment for you and your pets. Our goal is to be an affordable alternative to the massive franchise chains that offer minimal customer service, high prices, and questionable results. We ask that you give us one year to prove we provide superior service at an affordable price. We’re sure you will never go back to the overpriced and underperforming companies ever again. Get Started with a FREE ESTIMATE Now! Mr. Natural Environmental Lawncare Services, Inc.